NEWER Valencia West Creek home just built in 2012 with a fabulous wrap around yard with sweeping VIEWs with FOUR bedrooms and LOFT, AND OWNED SOLAR! Amazing great room w/fireplace with tons of space for entertaining. Kitchen is fantastic with granite counter tops and center island with breakfast bar. All bedrooms are upstairs along with a loft that allows for that upper level family space. Master Suite is on the view side with lots of natural light, soaking tub, separate shower, his and her sinks and a large walk in closet. Guest bath with bathtub and double sinks is across from the convenient upper level laundry room. Great design for the car enthusiast or big family with a two car attached garage and double deep driveway. Enjoy views of the Valencia West Creek community park, Santa Clara riverbed, the rolling hills and distant mountains. Just a few minutes from the resort like West Creek Community Center with pools, spas, sport courts, and acres of open park space. Moments from the acclaimed West Creek Academy & Rio Norte Junior High, and Valencia High School. Make your appointment today for a private viewing! 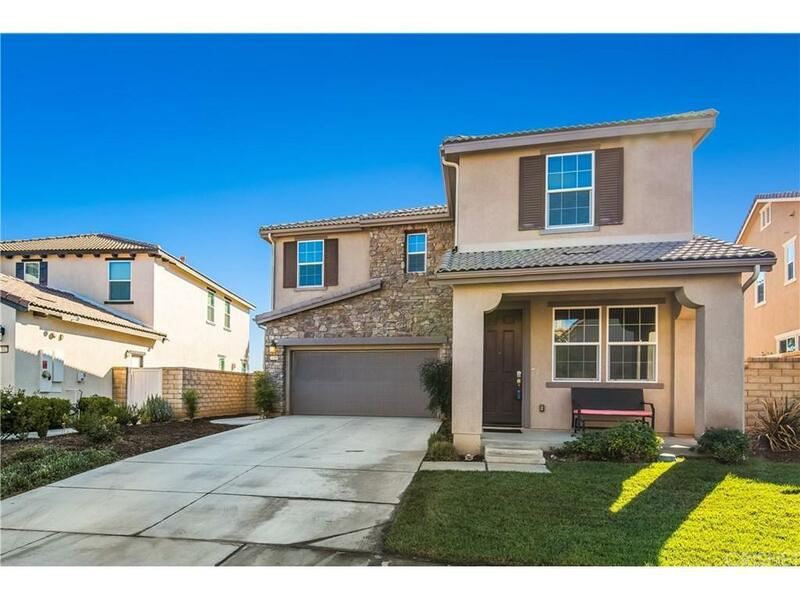 Sold by Matthew Gregory BRE#01022836 of Gregory Real Estate Group. Listing provided courtesy of Kathy Watterson DRE#01022836 of Re/Max Of Santa Clarita and Daniel Walsh CA DRE# 01732900 of .